Hey Lovelies, have you seen the new Cosplay Fabric from Yaya Han in Jo-Ann stores yet? It’s seriously lovely! There are so many fun and vibrant prints to choose from plus unique fabrics like gold and silver studded leather and different colors of brocade patterned fabric too. They are perfect for designing your dream cosplay costume and Jo-Ann has everything you need to complete your costume, too. This fabric is perfect for costumes but it is so versatile it is great for all sorts of other projects and themes too. We are loving the colorful purple, pink, green and blue scale fabric that would be a lovely detail at an under the sea party or a mermaid party. They could be used to make fish or mermaid decorations, wrap vases for a fun water look or be used as linen for the tables to bring the under the sea theme to life. There is also these really bright and metallic fabrics in all sorts of colors that would make for some really fun tablecloths at a sweet 16 party, a candy party or any other party that has a bright and vibrant theme. We love these fabrics for costumes but we thought of a different way to use them that we love even more. 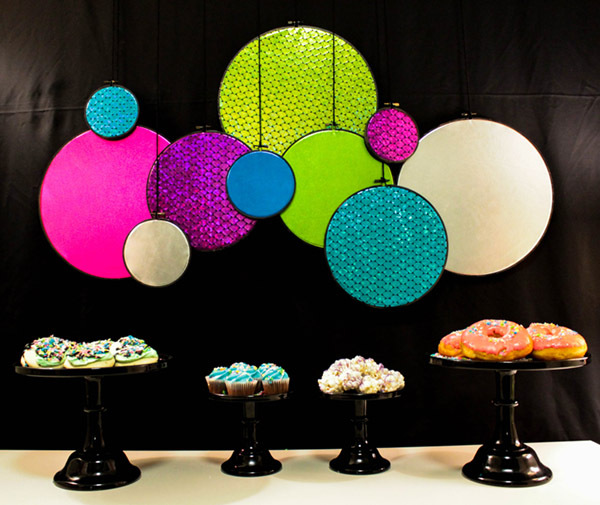 These are such amazing fabrics to make a DIY fabric backdrop for any dessert bar. Because there are so many colors and patterns to choose from, you can use the Yaya Han fabric for all sorts of themes to make your very own DIY fabric backdrop for your parties. 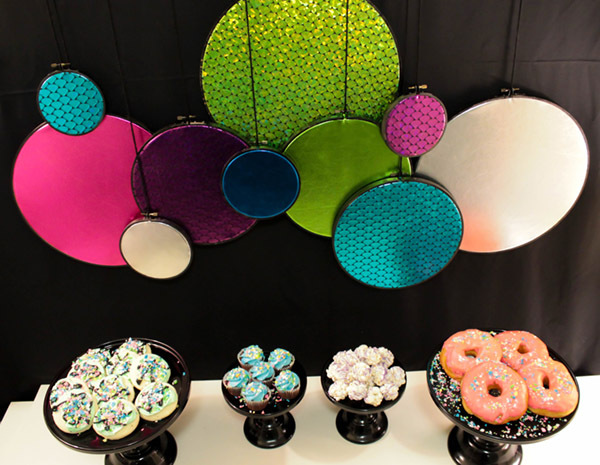 With just a few steps you can have your very own handmade backdrop that is going to wow guests and be the loveliest detail to your dessert bar. We used embroidery hoops for this look but the possibilities are endless! 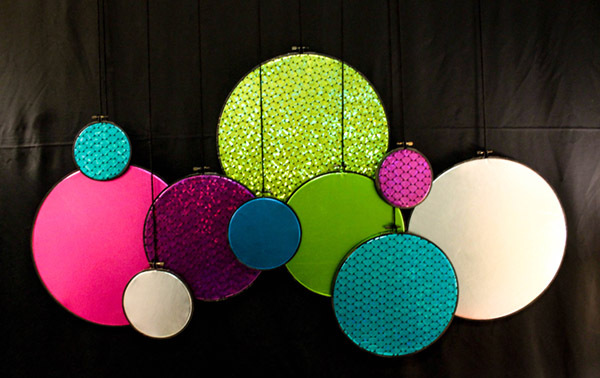 ● Spray Paint- Choose your favorite color to design the outside of your hoops. To make the fabric’s really stand out, I chose black. 1. Spray paint the hoops and let dry. 2. Put your fabric in the hoops and cut to size. Boom! 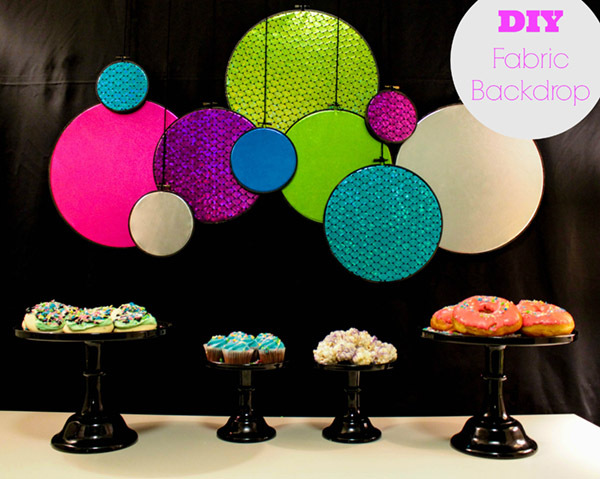 3 easy steps and you have your very own custom backdrop for your dessert bars. We think it looks awesome for a Cosplay party! 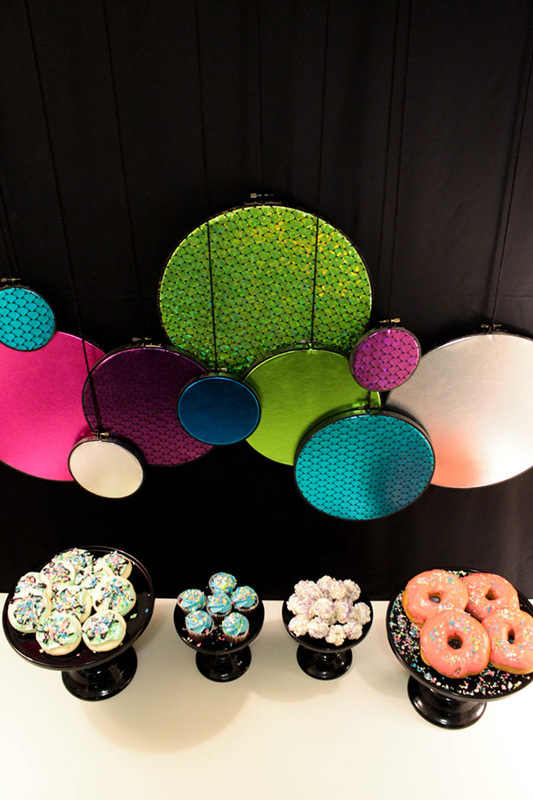 Add in your favorite desserts and cake plates and you have a super cute dessert bar on your hands! 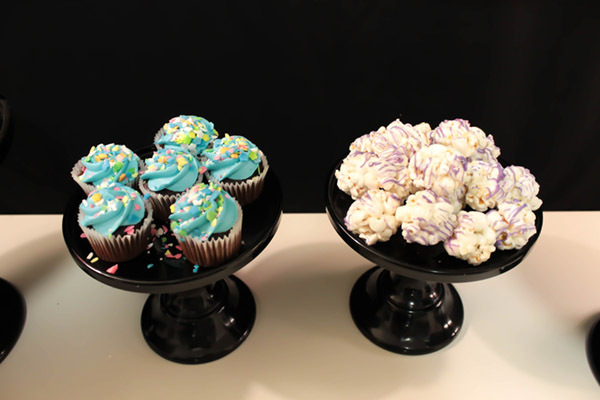 Even your desserts can be DIY at your Cosplay party. 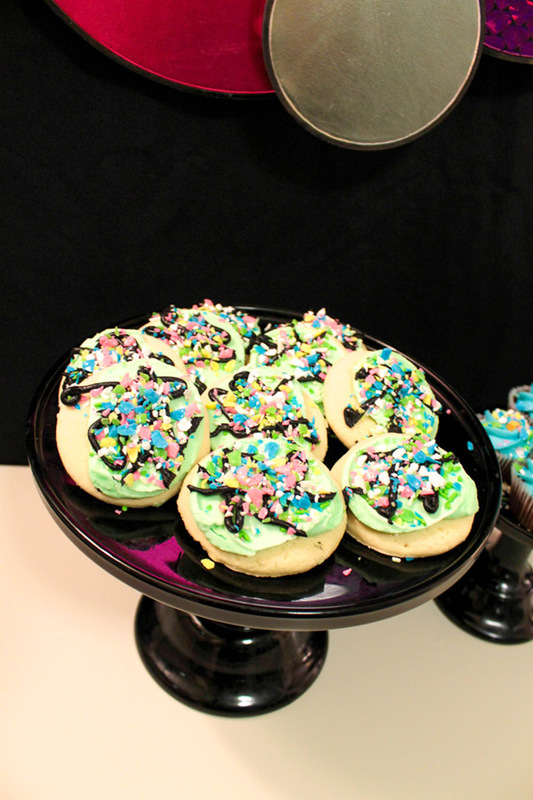 These cookies are just your stores iced sugar cookies for spring but when you add in a touch of your own black frosting and candy crumbles you get a fantastic look. 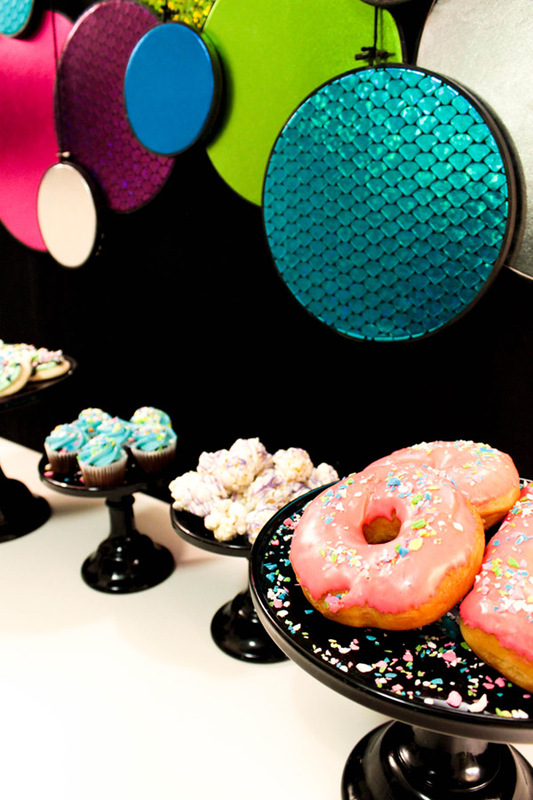 Added fun and colorful desserts really help bring the cosplay super hero theme to life. This post was sponsored by Jo-Ann. Be sure to support them and all of our other lovely sponsors so we can keep bringing you lovely content week after week.